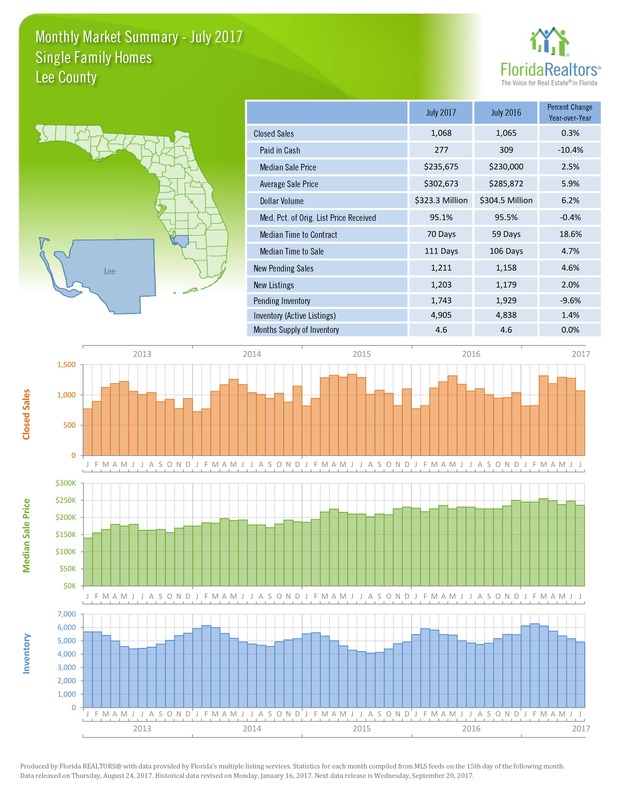 (Fort Myers, FL – August 24, 2017) – The housing market in Lee County was still active in July, but Condos saw more of that action that Single Family Homes compared to the same month last year. While there were only 3 more Closed Sales for Single Family Homes in July, there were 49 more Condo sales than in July 2016 – an increase of more than 11% year-over-year. The increase in the number of active listings was higher for Condos as well – jumping 7.3%, compared to an increase of just 1.4% for Single Family Homes. The biggest jump in all of the Condo statistics was the number of million-dollar-plus properties sold last month. There were 6 closed sales in July, marking a 200% increase from last year. The Months Supply of Inventory remained the same in July at 4.6 months. Median Sale prices were slightly higher for both Single Family (2.5% increase) and Condos (1.4%). Single Family Homes spent a lot more time on the market last month (70 days) compared to last year (59 days). That is an increase of 18.6%. 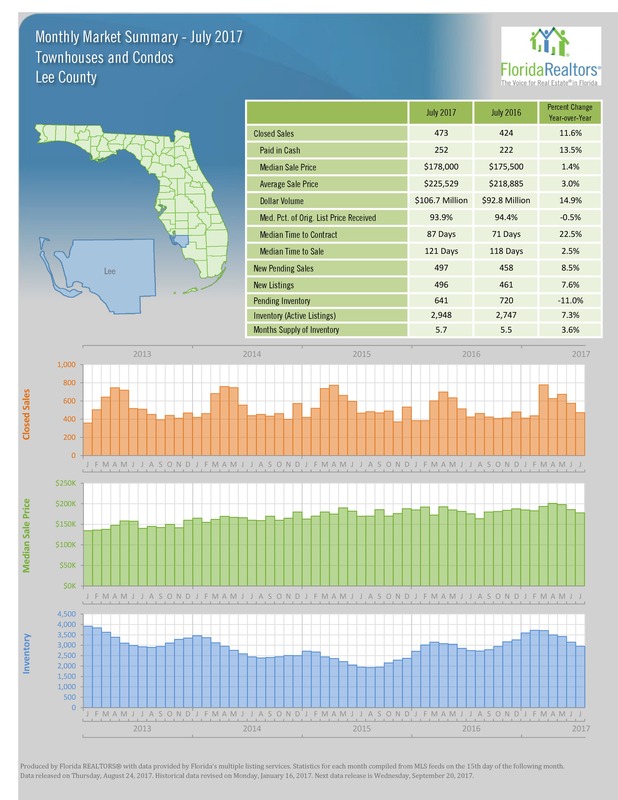 Pine Island had the biggest drop in the number of closed sales year-over-year (36.4%). Fort Myers Beach had the biggest jump at just over 18%. Information valid as of August 22, 2017. Please contact us for the most current information and status of these properties.